High quality and durable bar stools with a classic circular back design and upholstered in faux leather in a choice of 16 colours. European solid wood frame. Normal lead time is 15-20 days. 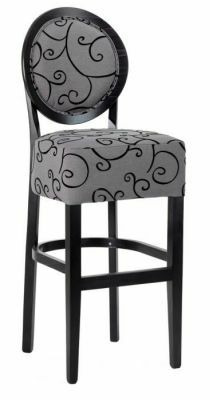 Classic design bar stool with a unique twist. Durable and ideal for use in a lively bar or coffee shop. This is a made to order item with a 15-20 day lead time.